That’s what I had to say, but it was the last thing I wanted to say. 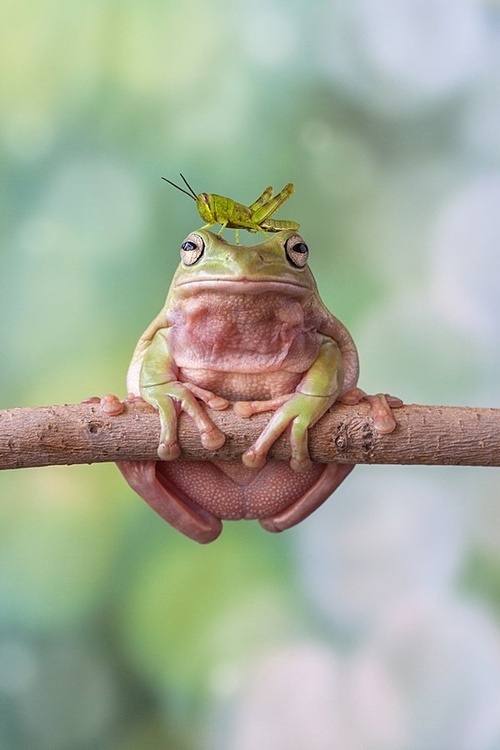 I felt like a frog with a grasshopper sitting on its head . . . humiliated. We all want to be right, but obviously we can’t always be . . . you know—right. So what do we do when we’re wrong, and we’ve really stepped into a hole we can’t get out of—at least not gracefully? This is not a new question. In fact, it has plagued mankind for centuries. No one is immune to humiliation. We see it in Presidents like Richard Nixon and Bill Clinton. We see it in sports heroes like Tiger Woods, Pete Rose and Lance Armstrong. Of course, there are always plenty of celebrity faux pas that light up the sky. The question is not what to do if it happens to us. It’s what to do when it happens to us. When we find ourselves in the position of making a big mistake, we tend to focus on the shame and embarrassment that some in the limelight have endured. But instead, our minds should be drawn to scripture. We have no shortage of role models there. My favorite is King David. I have always chosen him as my hero for five main reasons. When the prophet Nathan confronted David, he repented immediately. David had the power to throw Nathan into prison, or have him executed to cover his crimes. Instead, he confessed to God what he had done and repented of his sin. Over the years, David’s various sins cost him a great deal. He lost everything for a time, and in shame and humiliation he was even driven from his own kingdom. But God restored him because of his true repentance. The only times David was unable to have complete communion with God was when he, David, allowed sin to place a wedge between them. Every time David chose to follow God, turn from his sins and seek God’s face, that communion was again restored. When David faced Goliath, he didn’t waiver because he knew that God would fight the battle. He never expected God to let him down. He never wondered if God would give him the victory. He trusted him as no other man has, and walked out to fight the unbeatable foe. Despite his frailties, his sins, his disobedience at times, he was deemed to be a man unto God’s own heart. That tells me that I don’t have to be perfect. I don’t have to win the battles of life to earn God’s approval. I can make mistakes and still be counted unto God as holy through the blood of Christ. When we find ourselves in a position we don’t want to be in—a humiliating circumstance, what we do with it determines who we are, and how others will see us. When I think of king David, I don’t picture a murderer, adulterer, liar and egotist. I see David as a man unto God’s own heart. That’s because of how he responded to his circumstances. We have the opportunity to do the same. But will we? That is the question. Also, for a quote from Gwen, please click on the Printable Promotion button on the menu above and print it out. Previous: FOR LADIES ONLY — HOW TO FIND THE PERFECT MAN: WARNING SIGNS!